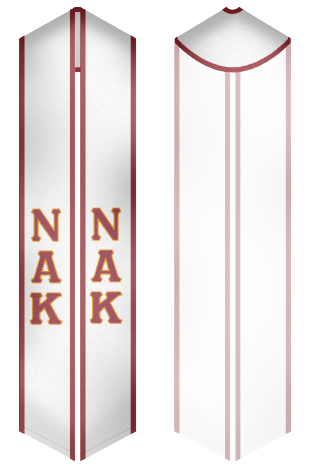 Nu Alpha Kappa fraternity was established on the campus of California Polytechnic State University in 1988. It is considered to be one of the most popular and respected Latino-based fraternities. Nu Alpha Kappa respect different cultures and has 24 chapters in California, Colorado and Nevada. The organization grows and its popularity constantly increases. Nu Alpha Kappa fraternity is a member of the North-American Inter-fraternity Conference and the National Association of Latino Fraternal Organizations (NALFO). 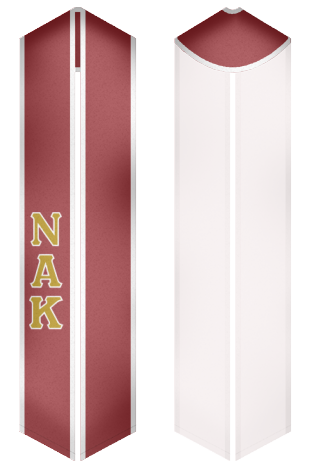 Our online store provides students of Nu Alpha Kappa fraternity with a wonderful opportunity to buy great stoles for graduation day and other events at the best price!